Since Leovold had over 700 decks here on EDHREC, this probably stings for quite a few folks. Due to demand in Legacy, he’s not exactly a cheap commander, and neither are the cards in his deck. It’d be a shame to just scrap the deck entirely! Therefore, for this Commander Showdown, we’re going to do something a little different. This series is all about comparison and contrast, but not just between two commanders. This time around, we’re going to take a look at the most popular cards from Leovold’s deck and compare them to several other commanders, to help find those cards a new home. So let’s get started. What were Leovold’s most popular cards? Windfall and other blue or black wheel spells are certainly the most famous. This, Whispering Madness, and Dark Deal can bring your opponents down to only one card in hand. Casting a pseudo-Cabal Conditioning for only three mana is pretty insane. However, the worst culprit was easily Teferi’s Puzzle Box. Since it technically triggers after players have drawn their card during the draw phase, the Puzzle Box could keep your opponents permanently handless. Unsurprisingly, we see these kinds of spells littered all over Leovold’s Signature Cards. His Top Cards, meanwhile, include a few tutor spells, to find the Box, not to mention a few choice counterspells to keep Leovold safe. Nekusar, the Mindrazer is presently the fifth most popular commander of all time, with over 1,500 decks to his name. You don’t need me to tell you how powerfully he synergizes with Windfall and friends. He has eleven different wheel effects in his Top and Signature Cards alone, including many red cards Leovold didn’t have access to, such as Winds of Change and Molten Psyche. His strategy is quite a bit different, of course. 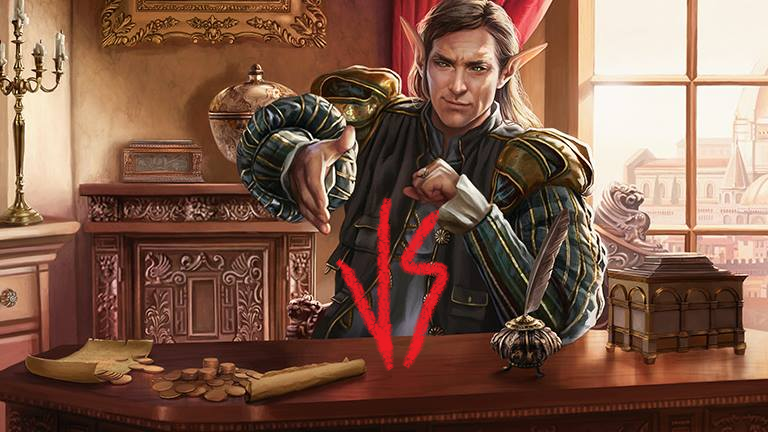 Unlike Leovold, he actually wants your opponents to draw cards. While Leovold uses Howling Mine to selfishly draw cards just for himself, Nekusar would probably play the Mine even if it didn’t draw him any cards at all. Heck, just look at Forced Fruition. It doesn’t draw you any cards at all, but it’s in over half of Nekusar decks. So a Leovold deck transitioning into a Nekusar deck would need to pick up more than just the wheel spells. The most dangerous aspect of a Nekusar deck is its redundancy. It’s not just Nekusar that slowly pings opponents. It’s also Underworld Dreams, Psychosis Crawler, Kederekt Parasite, and many, many more. (My personal favorite is Phyrexian Tyranny, which should absolutely be in more than just 37% of Nekusar decks.) When every card your opponents draw is like a Lightning Bolt to the face, all those wheel spells start to look just as unfriendly as they did in Leovold’s deck. Ol’ Leo didn’t let your opponents draw cards, but Nekusar makes them afraid of doing so, which makes for a different but still pleasantly cruel experience. Perhaps Nekusar isn’t quite your style, or you’d like to hang onto the green in Leovold’s color identity. If so, might I propose a popular pair of powerful partners from the Entropic Uprising precon? Kydele and Vial Smasher are almost the most popular partner duo on EDHREC, second only to Kydele’s combination with Thrasios, Triton Hero. That kind of popularity probably illuminates how effective Kydele is at her job. Unlike Nekusar, Kydele doesn’t care about the cards your opponents draw, just the cards you draw. She doesn’t use wheel effects to ping opponents, she uses them because they’re inexpensive cards that net her a lot of mana. This opens her up to several cards Nekusar doesn’t really want, such as Arjun, the Shifting Flame and Ancient Excavation. Nekusar likes Brainstorm just fine, but Kydele turns it into a Dark Ritual. For the life of me I’ll never understand why Forgotten Creation is only in 23% of Kydele + Vial Smasher decks, because it too grants you an enormous mana boost before your turn even begins. The added green really pays off for Kydele, too. When you’re wheeling your hand this frequently, you’re likely to find a lot of new lands to put into play with Burgeoning. That tricky Nath of the Gilt-Leaf can give you an army of creatures with every wheel you cast. Also Sylvan Library, already a staple in green decks, serves double duty by providing Kydele with even more mana each turn. All this mana is really the best part of a Kydele deck. Suit her up with an Umbral Mantle or a Paradox Engine and she can give you infinite mana very, very quickly, with a nice Comet Storm or Exsanguinate to close out the game. If you haven’t drawn your X spells just yet, don’t worry; Kruphix, God of Horizons will gladly hold onto it for you, and when you do cast that Villainous Wealth for X=80, Vial Smasher the Fierce will be extremely pleased. Hey, maybe Nekusar and Kydele + Vial Smasher decks are too obvious. They tend to draw a pretty big target on your back, especially Nekusar, since no one likes taking all that damage every turn. After all the grief Leovold probably got from your playgroup, maybe you’d like to run those wheel effects while flying under the radar. Well, no one’s better at staying under the radar than Lazav, Dimir Mastermind. This might seem like a stretch at first, but trust me, Lazav has a lot Leovold likes. A lot of those Windfall spells don’t just force your opponents to draw cards, they also force opponents to discard them, and Lazav loves seeing your opponents discard cards. His ability doesn’t just trigger when creatures die from the battlefield. Creatures going to the graveyard from anywhere can transform him into an Avacyn, Angel of Hope or Jin-Gitaxias, Core Augur, and where better to nab those creatures than straight from an opponent’s hand before they have enough mana to cast them? I should, of course, address the elephant in the room: isn’t Lazav a mill deck? He doesn’t discard cards from hands, he Traumatizes and Mind Grinds his opponents, doesn’t he? And the answer is yes, of course. Those are powerful spells that put a lot of cards into graveyards. However, in my experience, Whispering Madness has put more cards into graveyards than any Traumatize I’ve ever cast. In a four-player game, a Jace’s Archivist can put over twenty cards into graveyards off of a single activation, and if you can activate it multiple times, it really adds up over the course of a game. Plus it provides you with a much greater diversity of options than milling a single opponent; one huge graveyard will have cards that pertain only to their strategy, whereas several mid-sized graveyards give you a wealth of cards in different strategies and colors, so you’ll have more options and answers for different situations and board states. Oh, and let’s not forget that there are some great cards to mill enemies for every card you draw, like Sphinx’s Tutelage, and Lazav is naturally under no obligation to win the game exclusively by milling your opponents’ libraries. In fact, he rarely does. When he’s a copy of your opponent’s best creature, he can dish out the damage just fine, and there are some perfectly evil cards out there to help him do it. One such standout is Bloodchief Ascension which, like Lazav, doesn’t care whether a card was milled or discarded, as long as it goes to the graveyard. If you’re partial to graveyards, Leovold’s discard effects may have a home for you in a Lazav deck too. Niv-Mizzet only has one color in common with Leovold, so a lot of the same cards might not carry over. But if your favorite thing about Leovold was tutoring up the Puzzle Box combo to effectively win the game on the spot, Niv-Mizzet may have a similar appeal for you, wheeling and searching for cards like Curiosity to close out the game with his own brand of two-card combo-kill. Of course, there’s elf tribal. Leovold was a good excuse to play with elves in all manner of colors, especially Coiling Oracle and Shaman of the Pack. There are a few possible replacements for an elfball deck, such as Nath of the Gilt-Leaf, Momir Vig, Simic Visionary, and Rhys the Exiled. Depending on your preferred colors or strategies, those may be better choices for you. Personally, though, I prefer Edric, the other sneaky elf from Trest. He offers an appealing, low-to-the-ground strategy that I like a lot for elves, and a whole lot of card advantage to boot. Overall, I don’t think many players are very sad to see the back of Leovold, but for folks who invested in a deck already, it’s good to have fallback options. Thankfully, Leovold had several aspects that allow the core of his deck to find a new home, from the cruelty of Nekusar to the combo-kills of Niv-Mizzet. No matter how competitive your playgroup, there will always be a similar commander out there that fits your playstyle, eagerly waiting for you to brew up a new deck and crush your opponents. And with that, we must bid the Emissary of Trest a fond (or perhaps not-so-fond) goodbye. Farewell, Leo. You will (probably not) be missed.